Strala Yoga is a moving meditation and natural movement system fueled by your breath. Every inhale opens and creates space, every exhale relaxes and lets you move easily into the space you create. Strala moves from your middle, naturally from the inside out. Strala Yoga is a way of being, moving and healing that helps people connect with how they feel and to handle challenges with ease. By moving how it feels good to move you will not only get a great workout but also release stress, free up space in your mind, and open yourself up to creativity. Strala Yoga is a freedom flow that expands your limits, creates space and lightness. This is yoga that moves far beyond poses, helping you reveal your radiantly inspiring self! 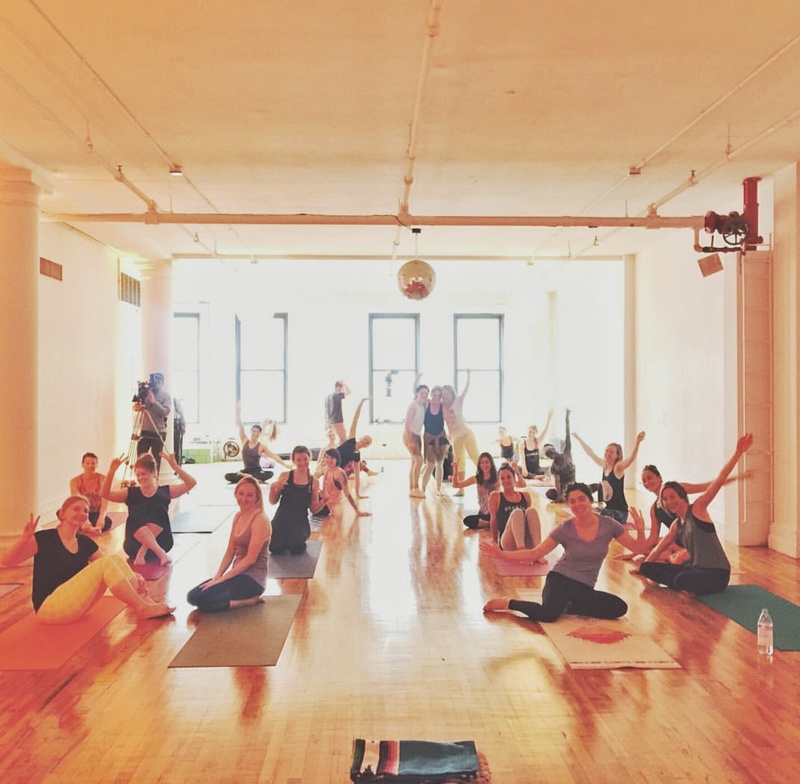 Wherever you are – Strala Yoga is for everyone. It is not about strict poses – it is about your body, your breath and your abilities and most importantly about your feelings. Your body gets strong, lean and flexible. It is what you look like when you make friends with your body and respond to what you need. With Strala Yoga you are in the flow. Your mind gets elevated, connected, switched on and sparks fly everywhere! Strala Yoga strengthens your immunity, your relaxation response is activated, and stress dissolves. Imbalances have the space to rebalance, repair and restore. Your energy levels skyrocket. Your life gets fun, fearless, fabulous and radiant! You look and feel fantastic. Because that is who you are when you are yourself, turned on. You are creative, inspired, connected to your intuition, and to the world around you. You have the space to improvise, to move easily in everything you do, and to create more than you dream. Your health shines bright and you get happy! Strala Yoga brings you here, using calm connected movement, through all kinds of challenges. This is your body and mind working at levels beyond your imagination. It is the way you are meant to be. Creativity is heightened. You achieve a super-human state of strength and flexibility in your body, and calm focused awareness in your mind. You move through the familiar and unfamiliar with far less effort, taking you much further without tiring, just feeling good. Strala Yoga is designed to activate your body’s relaxation response – a chemical cascade responsible for overall health, healing, and wellbeing. This does not happen in common yoga or exercise systems, which stimulate cortisol production. When attention is aimed narrowly and forcefully at accomplishing goals – for example in yoga, jumping and pushing into poses – our body is bathed in stress hormones, including cortisol. We become chemically less able to see the full range of options available to us. We are less creative and less intuitive. We are ready to survive an attacking tiger, but that is about it. Keep pushing this way, and we are likely to gain more weight than we need, injure our bodies, and suffer from a variety of stress-related disorders. By contrast, when we move with ease through all conditions, we trigger our bodies relaxation response. This is where we want to live most of our lives. The good news is we can activate our own relaxation response by moving gently and exploring where we are, rather than forcing to be somewhere else. We get happy, creative and intuitive. It feels amazing! Strala Yoga was created by Tara Stiles, drawing on her background in classical ballet and choreography, as well as her long-time personal practice in yoga. Tara trained with Paul Taylor Dance Company choreographer and dancer Eileen Cropley, and began her yoga study in the 1990s with her ballet teacher, Rory Foster of the American Ballet Theater. The science and movement of Strala Yoga is also guided by Mike Taylor. Mike studied mind-body medicine at Harvard, and complementary medicine at Oxford. He has practiced Eastern movement and healing, including Tai Chi and Qi Gong, for thirty years. Strala Yoga is known for its laid-back, energetic and open vibes. Classes are led by thousands of Strala Yoga guides around the world in partner studios, gyms and health clubs. Strala Yoga partners with the Alliance for a Healthier Generation, and is practiced in more than 28’000 schools across America. We’ve been profiled by The New York Times, Times of India, The Times (UK) and have been featured in most major national and international magazines.